The Epiphone Casino is a thinline hollow body electric guitar manufactured by Epiphone, a branch of Gibson. 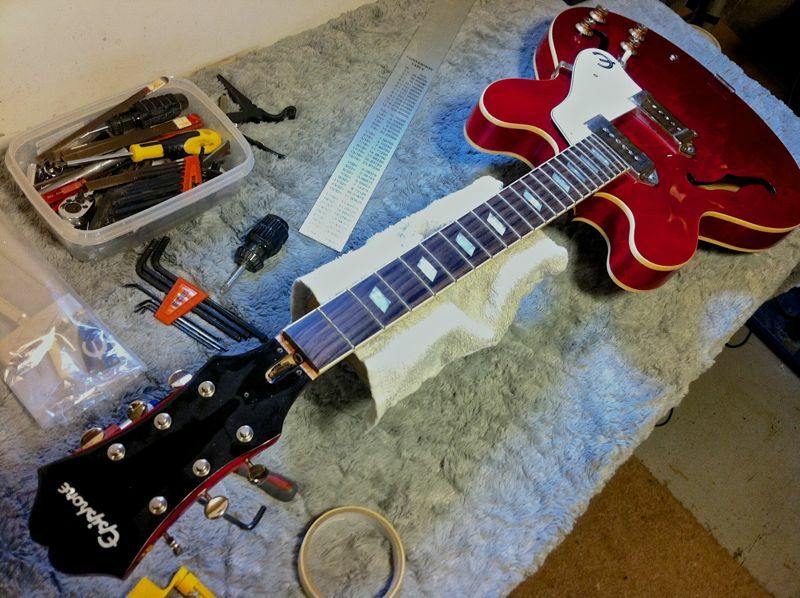 It is essentially Epiphone’s version of the Gibson ES-330. 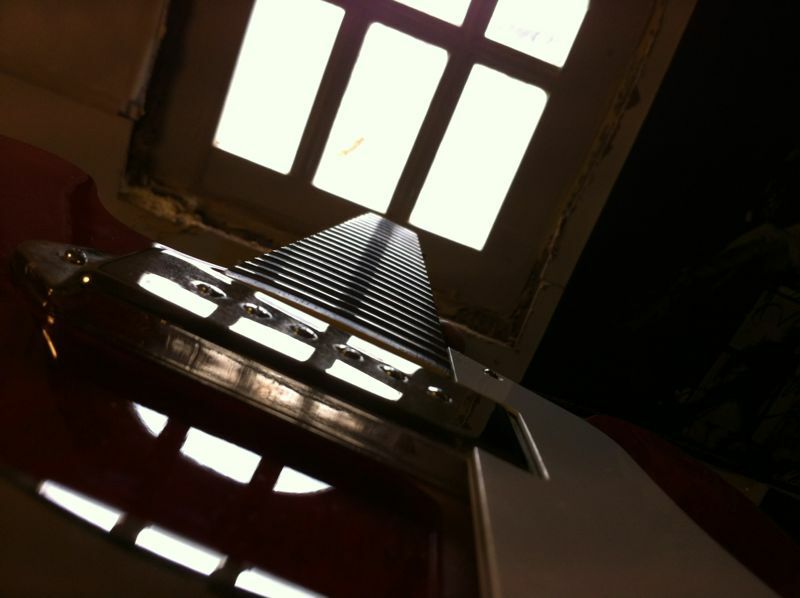 The guitar has been associated with such guitarists as George Harrison, John Lennon, Paul McCartney, Keith Richards, Dave Davies, Noel Gallagher, The Edge, Dave Grohl and Gary Clark, Jr. 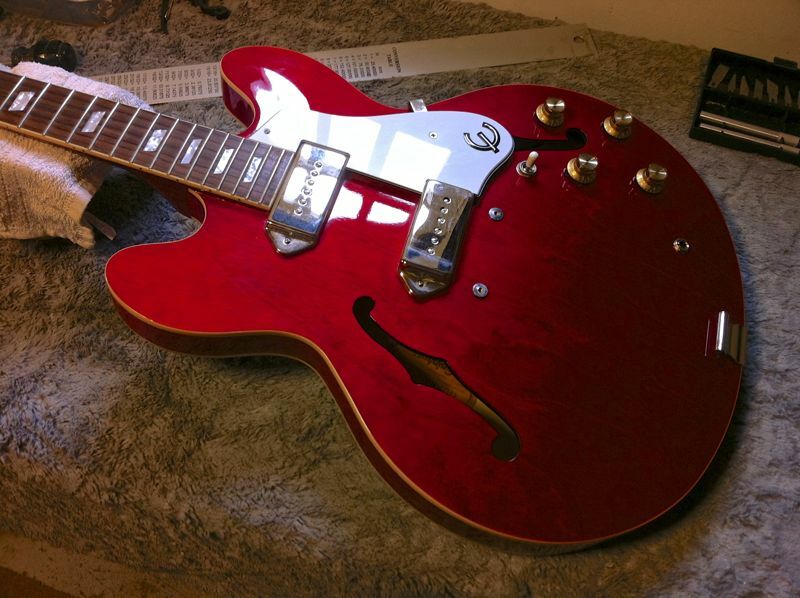 This is a 2010 Epiphone Casino made in the Qingdao factory in China. (click the link for a quick tour). 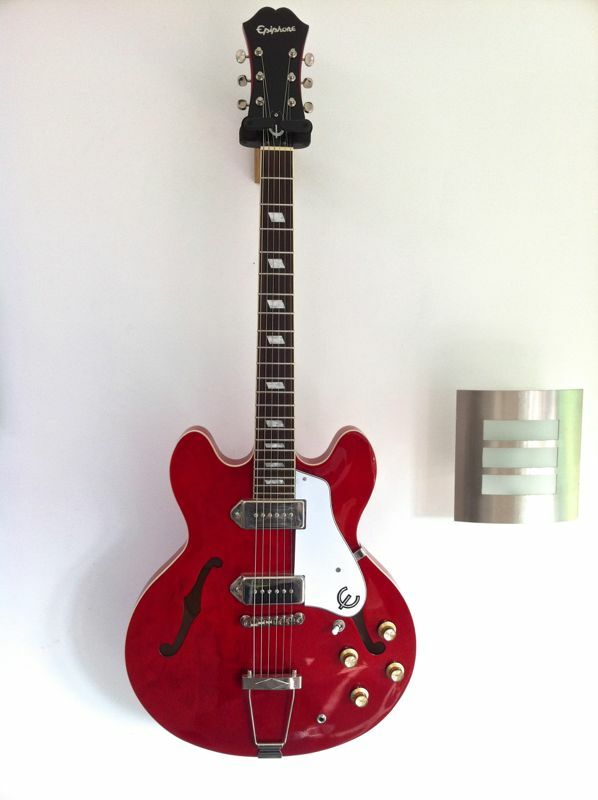 The quality of Chinese Epiphone models seem to get better and better, and this particular guitar is no exception. 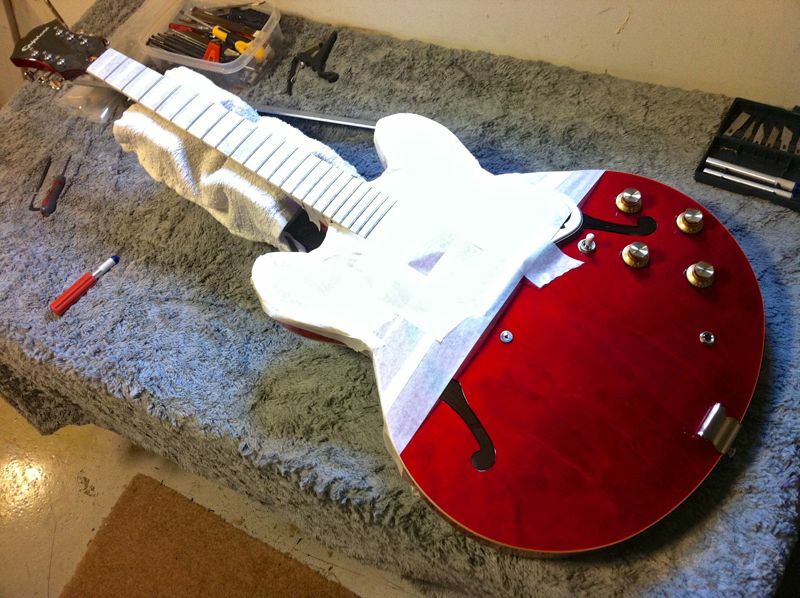 The owner wanted a deluxe set-up to set the action as low a possible with zero fret buzz. 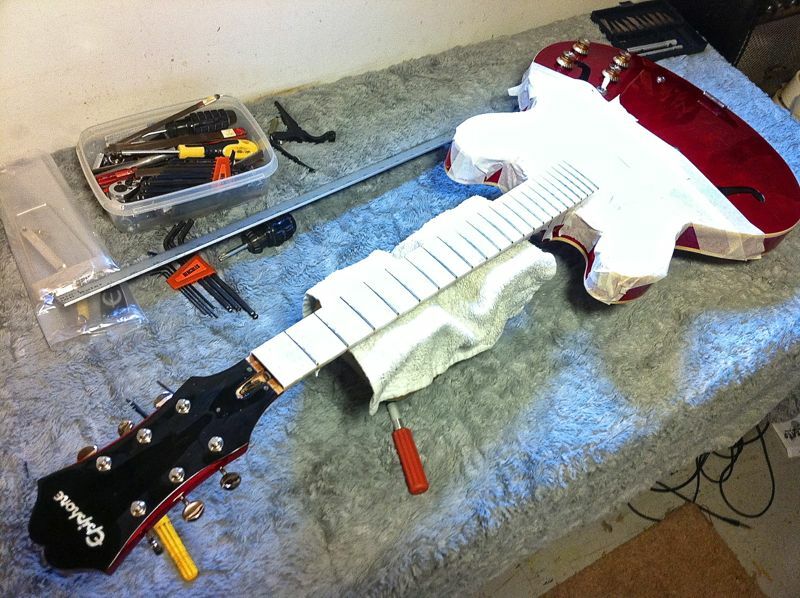 When the guitar arrived it had very high action (5mm at the 12th fret). 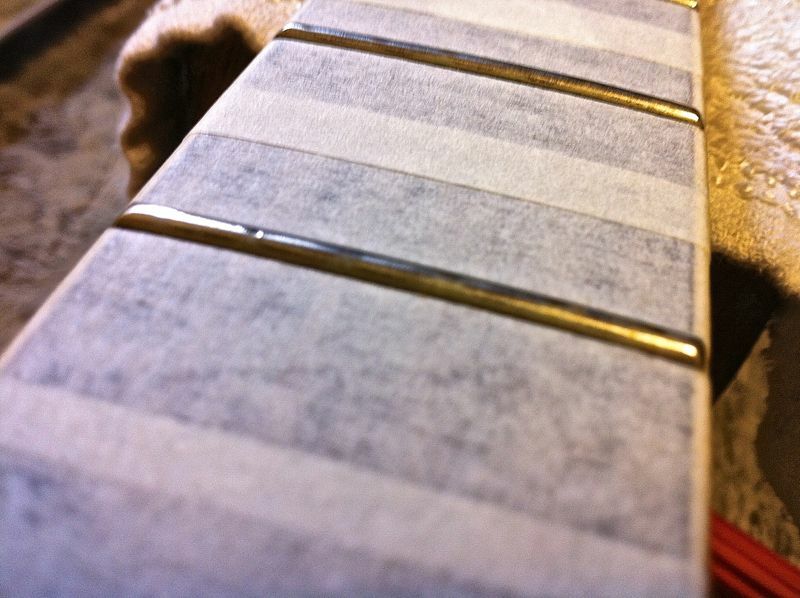 The nut channel were also cut slightly smaller than the string diameter – a recipe for tuning problems. 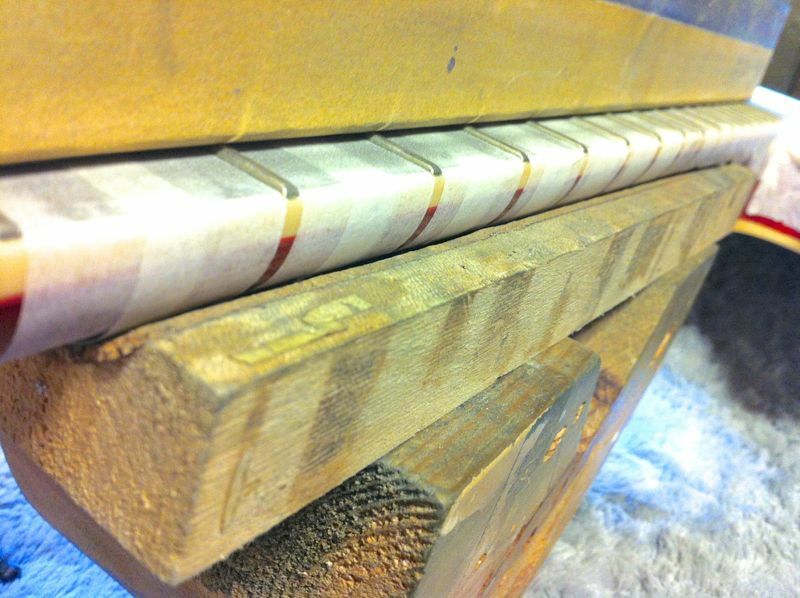 Here the nut is removed ready to level the frets. 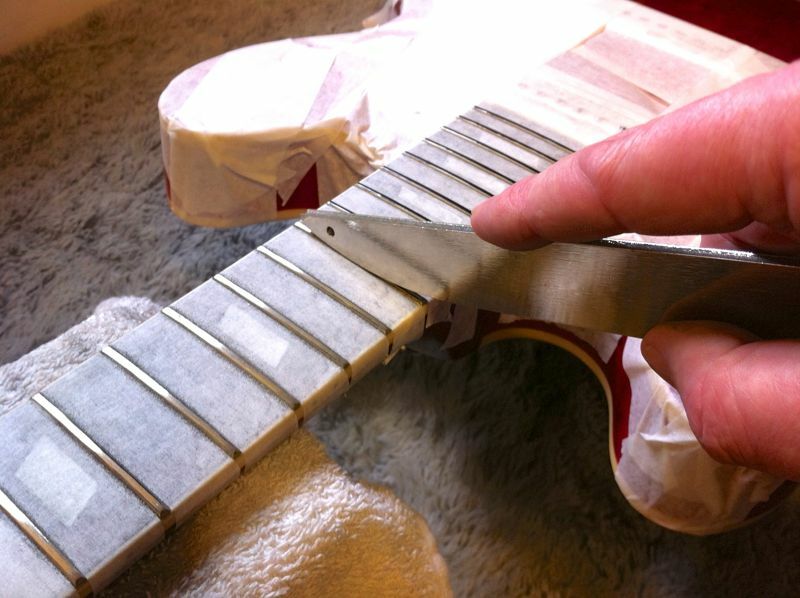 Here I am using an offset diamond fret file, from Stew Mac – coated with industrial-diamond particles to re-crown the tops of the frets that have been flattened. 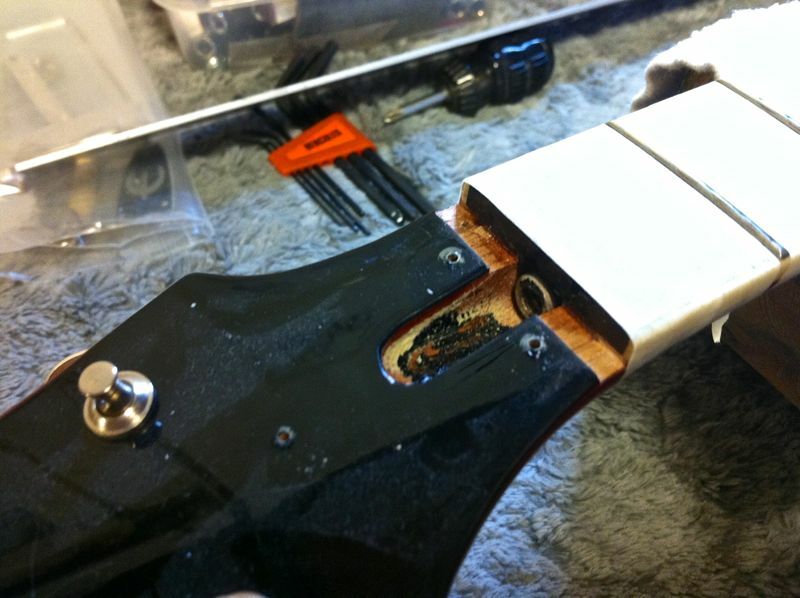 ← Vintage Flat Back Mandolin Neck Repair.